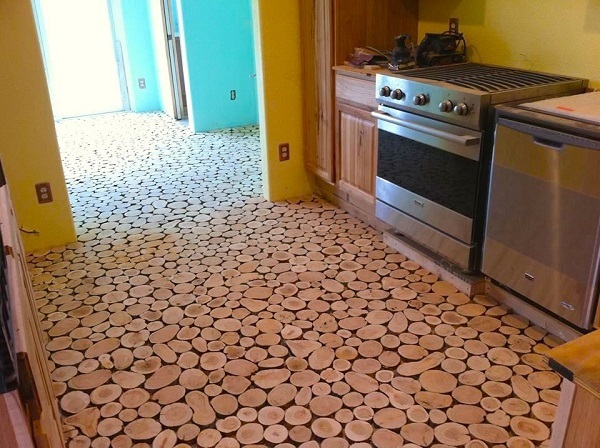 We've never seen a floor made out of this before. 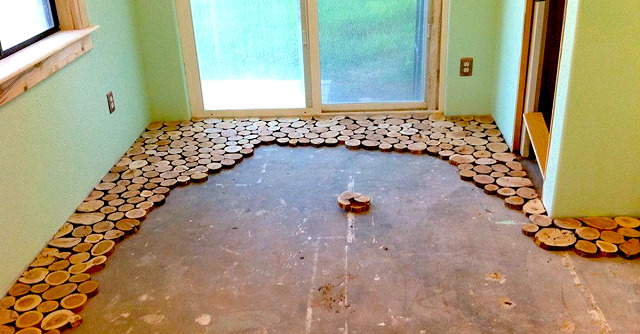 Across the nation, a very unique — and very beautiful — renovation technique is taking homes by storm. Although this special technique dates back thousands of years, more and more houses around the world have begun to bring it back into fashion. 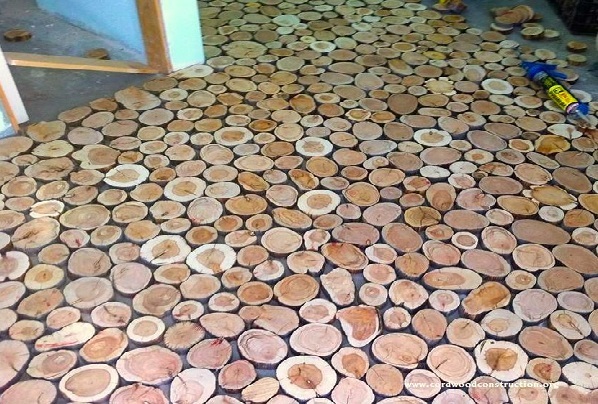 Let us know your thoughts on this unique floor in the comments section below. 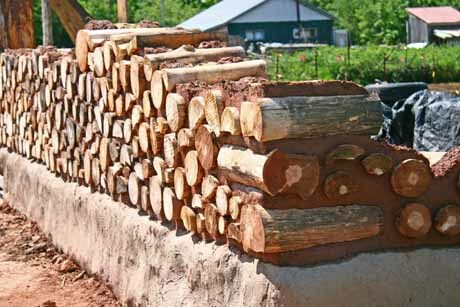 Called "cordwood construction," this technique uses debarked logs — either found naturally or cut from logged trees — that are stacked and mortared. 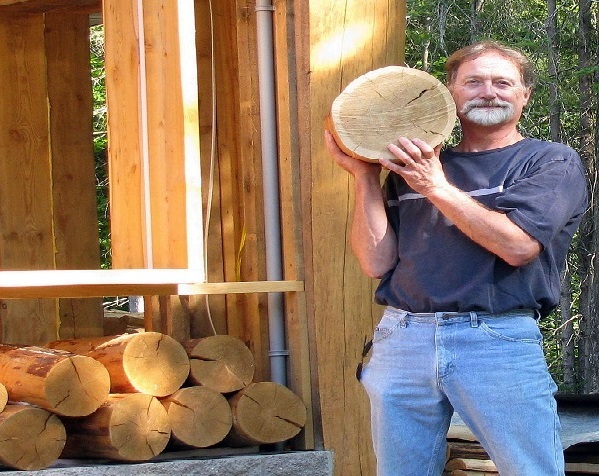 The wood they used was legally gathered from their state forest. The trees — "Shaggy Bark Juniper" and "Alligator Bark Juniper" — had died and fallen naturally. 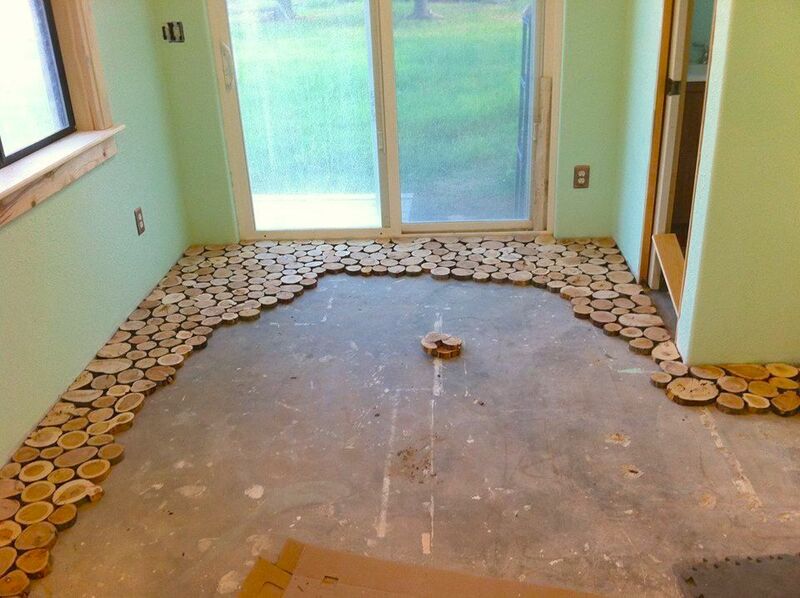 After running each piece through the chop saw (set at 1"), they sanded the discs down and glued them directly to the floor. 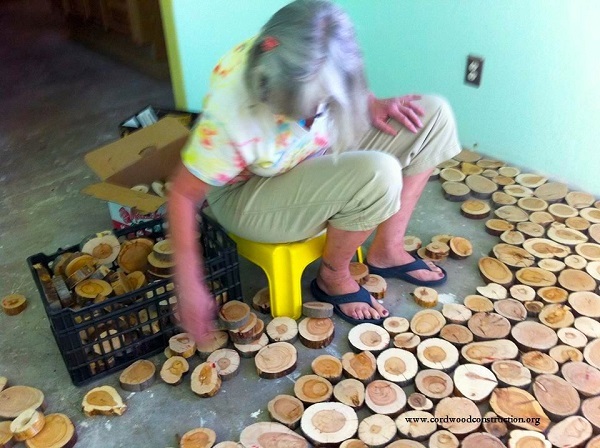 Soon, they entire floor was covered in the beautiful cordwood. 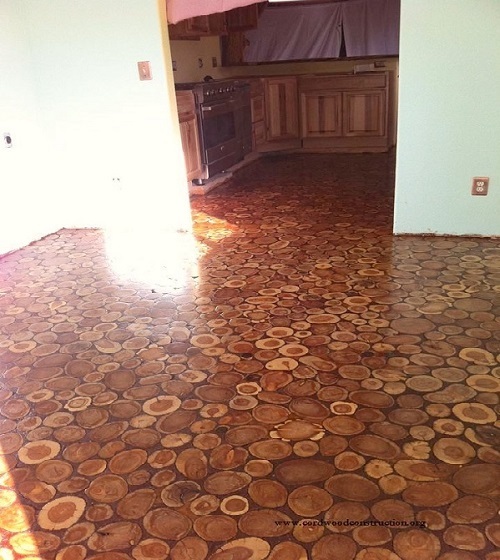 Finally, after grouting the spaces and applying more coats of polyurethane, their stunning floor was complete. I love how warm and natural it looks, don't you? 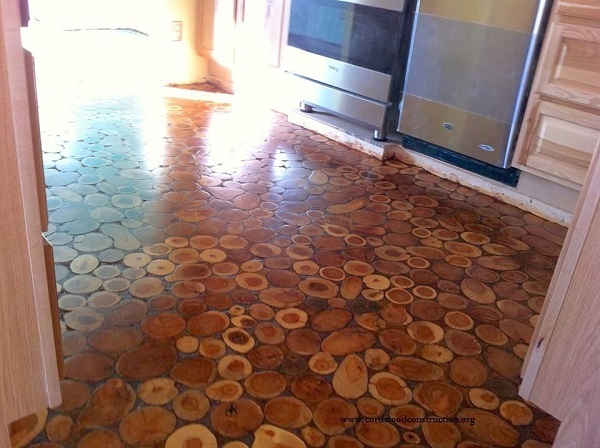 Would you like to have this in your home? Let us know in the comments below! 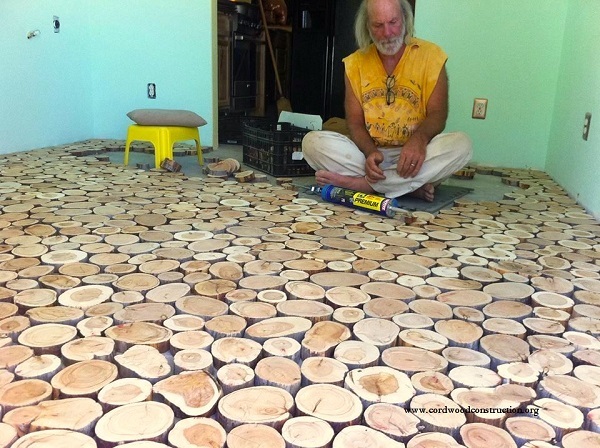 Please SHARE if you love this gorgeous, all-natural floor! This Guy Put A Secret Window On His Kitchen Floor, For A Brilliant Reason!